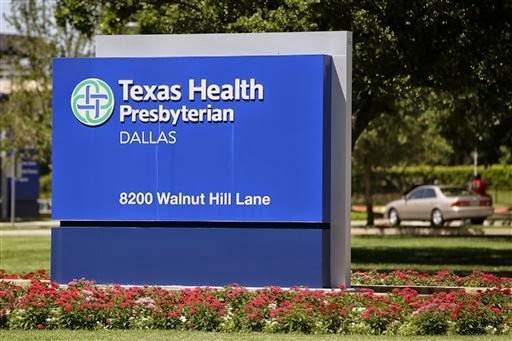 Lean Thinking: Ebola at Texas Health Presbyterian Hospital - Is the Absence of Standards an Anomaly, or the Norm? Ebola at Texas Health Presbyterian Hospital - Is the Absence of Standards an Anomaly, or the Norm? No jokes today, folks. Serious situation at Texas Health Presbyterian Hospital (THPH). A man has died, and at least two health care workers have been affected. Especially distressing is THPH’s seeming absence of basic standards, and weak adherence to those that exist. This despite numerous heads-up calls from the Centre for Disease Control (CDC). Treatment protocol – in particular, how to eliminate exposure to toxic bodily fluids? As for adherence to standards, is it too much expect visual tools, leader standard work and Kamishibai? "We have numerous measures in place to provide a safe working environment, including mandatory annual training and a 24-7 hotline and other mechanisms that allow for anonymous reporting. Our nursing staff is committed to providing quality, compassionate care, as we have always known, and as the world has seen firsthand in recent days. We will continue to review and respond to any concerns raised by our nurses and all employees." But are they working a good management system?